"From its gripping opening pages...Life Sentences may be the most absorbing, entertaining mystery published in the last year." 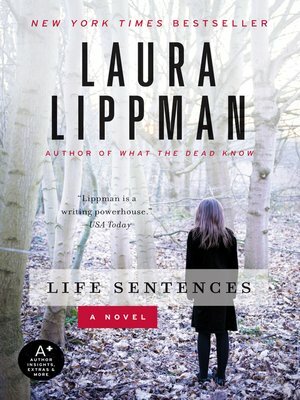 USA Today calls Laura Lippman, "A writing powerhouse," and Life Sentences powerfully confirms it. Past and present, truth and memory collide in this searing novel from a New York Times bestselling author whose novels have won virtually every major prize bestowed for crime fiction—from the Edgar® to the Anthony to the Agatha to the Nero Wolfe Award. As she did in her blockbuster What the Dead Know, Lippman takes a brief hiatus from her popular series character, Baltimore p.i. Tess Monaghan, to tell a riveting story of deceptions and dangerously fragile truths that People magazine says, "Succeeds brilliantly."